When Trinity’s heroine, Helen Clement, first arrives in Russia, she’s put in mind of a book she once owned as a child, sent to her by her mother’s Russian-American friend, Professor Bayeva. 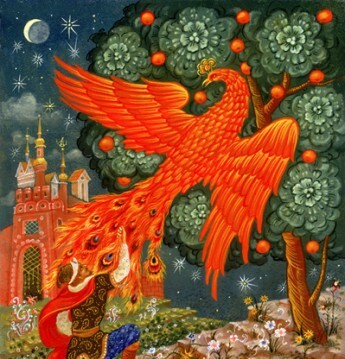 It’s a beautiful illustrated version of the most famous of all Russian fairy tales, The Tale of Tsarevitch(Prince) Ivan, the Firebird, and Grey Wolf. The story’s an amazing, thrilling blend of adventure, magic, quest and romance, with a good dose of danger and betrayal thrown in, and features vivid characters: not only Ivan, his beautiful beloved Yelena, and his wicked older brothers, but especially the mysterious Firebird and the shape-shifting Grey Wolf who is Ivan’s helper, protector and saviour. Teamed with beautiful illustrations by the great classic Russian artist Ivan Bilibin, it’s a story to stick in the memory of any child. As it certainly stuck in mine. 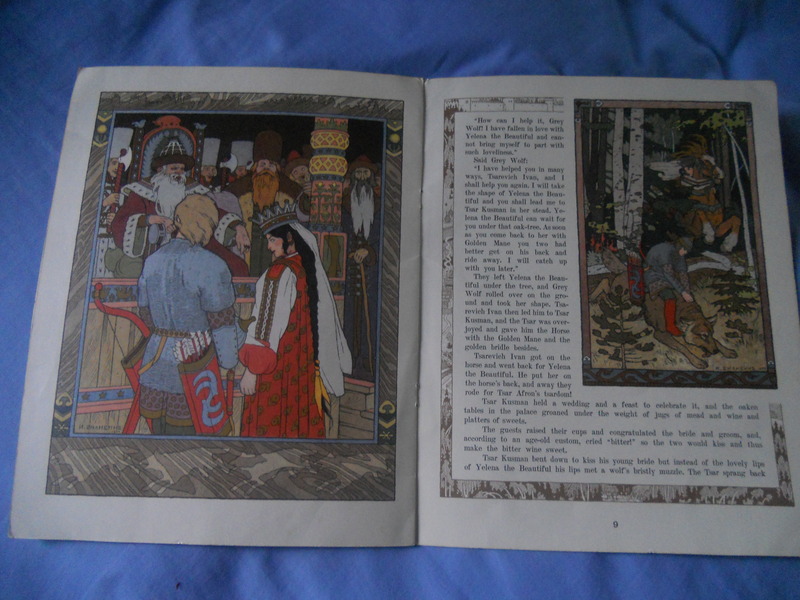 That classic fairy tale was an important part of my own childhood reading, in its incarnation as a Soviet-era picture book that preserved the great beauty of the illustrations and the straightforward nature of the original 19th century retelling. 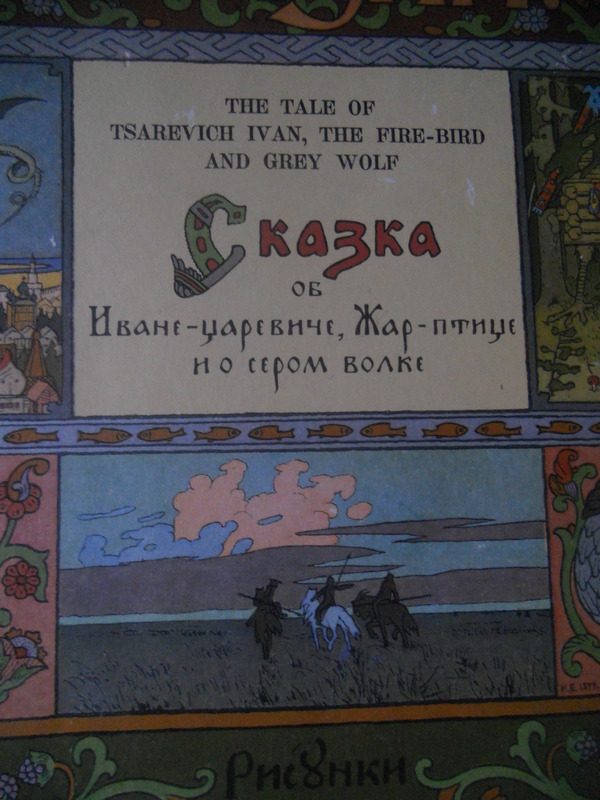 That edition was one of a series of English-language books of fairy tales, published in Moscow, that introduced to Western children not only wonderful stories like that one, and others such as Fenist the Falcon, Vassilissa the Beautiful, and The Frog Princess, but also the gorgeous illustrations of Ivan Bilibin. And those books have stuck in my imagination ever since, with their rich strands working their way into my writing as an adult, in books such as The Firebird, Scarlet in the Snow, and now the Trinity series. ← Why your next novel should be set in Russia..